To make sure that the cooking area in your home, restaurant and pub is in pristine condition it is recommended to provide deep kitchen cleaning at least once a year. Our company is the perfect choice you can make to ensure the healthy and presentable state of your kitchen. We carry our some of the most professional and affordable kitchen cleaning services in Wimbledon that will save you time and money. Our cleaners are certified, skilled and trained in implementing one-off sanitising of kitchens in homes and restaurants. 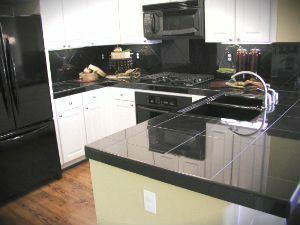 After scheduling the cleaning, our staff will check the condition and state of your kitchen and prepare you quote. The work will be done in line with it and the health and safety regulations which require perfectly maintained kitchens in restaurants and pubs. 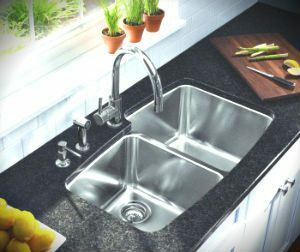 We use high-quality preparations and de-greasers which along with our dip tank methods guarantee effectively washed and sanitised cooking appliances. Our staff can defrost and sanitise inside and out the freezer and fridge in your property. Call us whenever you need extensive kitchen cleaning in your home or commercial property, located in SW19 and we will do the work at a preferred date and time. Keeping your kitchen clean at all times is mandatory for homes to ensure their safety and hygiene. Restaurant owners are required to provide regular sanitising of their kitchens, vents and all cooking areas from the local authorities. Call us to book the kitchen cleaning which you need done in Wimbledon for your restaurant, rented property or home. You will receive excellent service at a reasonable price that you won’t regret for.